US Deputy Secretary of State Williams Burns will join talks between Iran, the U.S. and European Union in Vienna on Monday, US officials said. Burns was seen on the plane Sunday traveling with the US delegation, led by Under Secretary of State Wendy Sherman, to Vienna. He and Sherman are expected to meet Monday with Iranian and European Union negotiators. Sherman will stay on for nuclear talks between Iran and the P5+1 expected to go til Friday, as efforts intensify to reach a final nuclear accord by July 20. Burns previously led secret US bilateral talks with Iran last fall. But last week the State Department announced that he and Sherman were co-leading the US team to bilateral talks with Iran in Geneva in order to break what reportedly has been a deadlock in the negotiations. As negotiators intensify efforts to reach a final nuclear accord by July 20, the US bilateral and P5+1 nuclear negotiating teams seem to have merged, and the US Iran contacts on a nuclear deal become less secret. The US will also this week open contacts with Iran about the security crisis in Iraq, the Wall Street Journal reported Monday. Burns, when he traveled to Oman for secret nuclear talks with Iran last year, reportedly traveled on an unmarked US government plane. But he, Sherman and their team were seen Sunday at the Washington Dulles airport business lounge awaiting their flight to Vienna, with no apparent attempt at hiding his presence. When six world powers and Iran next hold nuclear talks in Vienna June 16th, France will have a new top negotiator. France’s longtime lead negotiator, political director Jacques Audibert, was tapped in May to head the French Presidential (Elysee) diplomatic office on G-7/G-8 and multilateral issues. France’s new political director and top negotiator at the P5+1 talks with Iran will be Nicolas de Rivière, who most recently served as France’s assistant secretary of UN affairs. De Riviere previously served as France’s deputy permanent representative at the UN in NY, among other diplomatic assignments. The switch in France’s Iran team is not the only personnel change on the horizon, as negotiators seek to reach a final Iran nuclear accord by July 20, when a six month interim deal expires. European Union foreign policy chief Catherine Ashton is due to step down in October. US Deputy Secretary of State Bill Burns, who led a US diplomatic “back channel” to Iran last year, has also announced he will retire in October. Technical experts from the P5+1 and Iran began meeting in Vienna Wednesday for two days of expert level talks (June 5-6). 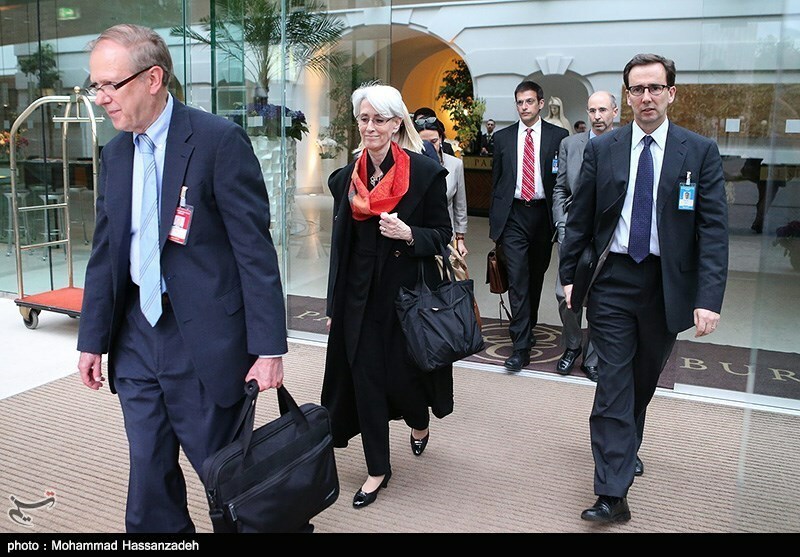 Meantime, lead US Iran nuclear negotiator, Under Secretary of State Wendy Sherman, is in Brussels Wednesday as part of President Obama’s delegation to the G-7 Leaders’ Summit, the State Department said. US officials say they are working to try to reach a final deal by July 20th. “We are working towards the July 20th date, and we believe we can meet that date,” State Department deputy spokeswoman Marie Harf told Al-Monitor Monday. But one western diplomat from a member of the six negotiating powers told Al-Monitor Wednesday that he thinks an extension is probably likely to be needed. The Iranians “have to make a clear political choice, which is really a kind of prerequisite for a long-term and sustainable agreement,” the diplomat said. Top Iran and European Union nuclear negotiators are expected to meet in Istanbul on Monday, Al-Monitor has learned, though representatives of neither side would confirm the meeting date or venue. “They will meet in Istanbul on Monday and perhaps Tuesday,” a diplomatic source, speaking not for attribution, told Al- Monitor Sunday., referring to European Union foreign policy chief Catherine Ashton and Iran Foreign Minister Mohammad Javad Zarif. 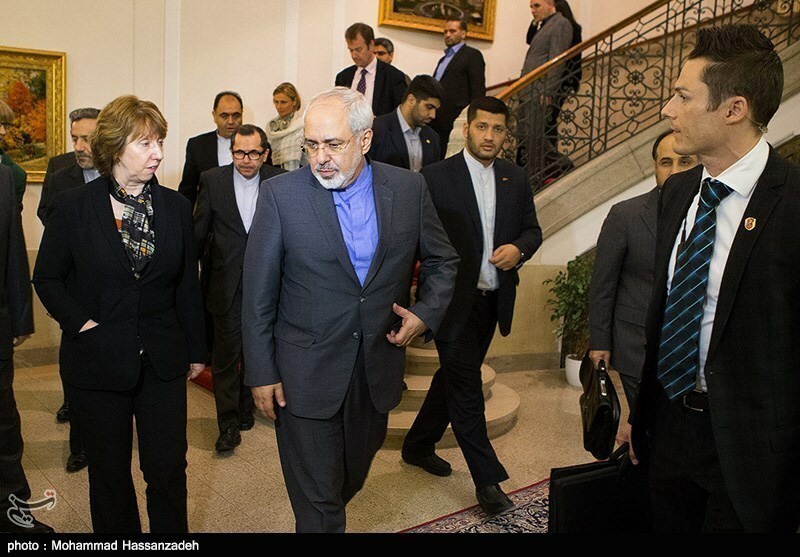 The Zarif Ashton meeting is expected to start Monday afternoon in Istanbul, the diplomatic source said. After Al-Monitor’s report on the unannounced meeting Sunday, Iran’s IRNA news agency reported that Zarif and Ashton were to meet in Istanbul this afternoon and continue the next day. It is unclear why there seemed to be unusual secrecy about the Zarif-Ashton meeting, or why, if it’s to take place, it hasn’t been announced. No American officials are expected to participate in the meeting, Al-Monitor understood. “I can’t confirm anything. i have no comment,” a spokesperson for Ashton told Al-Monitor early Monday, after Iranian media reported Zarif’s plane had departed for Istanbul to meet Ashton there. Ashton was thought to be returning from South Korea on Sunday, an EU official earlier said. Zarif met with his Turkish counterpart Foreign Minister Ahmet Davutoglu last week on the sidelines of an Asian summit in Shanghai, China, but no visit was announced. Zarif is expected to attend a conference of the Non Aligned Movement (NAM) in Algeria later in the week. At the first real comprehensive nuclear deal negotiating round in Vienna earlier this month, the Iranians were said to be shaken by a P5+1 proposal for a ten-year (or by one account, 20-year) plan for phased sanctions relief in a final deal, that Iran found much too slow. The Iranians were also described as having felt the U.S. position in particular had hardened in the most recent Vienna meeting, sources said. (US officials deny the US position has hardened or changed). The US also reportedly raised the ballistic missile issue with the Iranians, which Iran’s negotiators have repeatedly said they refuse to discuss as they consider the missile program a sovereign defense issue outside of the P5+1’s nuclear purview. Meantime, former US officials close to the US negotiating team have repeatedly implored Iranian negotiators to recognize that Iran’s expectations for the size of its uranium enrichment program have got to be lowered to reach a final deal. 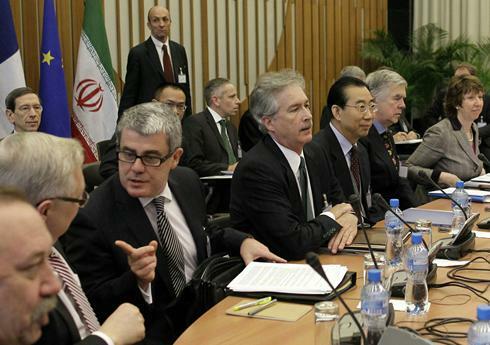 The next round of P5+1 Iran final deal talks is expected to be held in Vienna starting on June 16th. But US, Iranian and EU officials have said there will be additional consultations in different forms and at different levels in advance of those, as the parties aim to try to close a deal by the July 20th expiration of a six month interim deal. Separately, the US-Iran bilateral channel that helped advance an interim nuclear deal last fall has not yet restarted during the final deal talks this year, outside of bilateral meetings that have taken place on the sidelines of the P5+1/Iran talks, US and Iranian sources told Al-Monitor. Vienna_ The first drafting round of Iran final deal talks ended with few signs of progress Friday, but negotiators from all sides said they had expected difficult moments along the way as they got down to negotiating the tough issues involved in a comprehensive deal. “We knew there would be” such difficult moments, the U.S. official said. “We are at the beginning of the drafting process. We have a significant way to go. There are wide gaps. … We do not know if we will be able to conclude” a final deal by July 20, but that is still the goal. The West should “overcome its illusions,” and return to the talks “with more realism,” a senior Iranian official, speaking not for attribution, told Al-Monitor Friday night, when asked how to get the talks unstuck. “Iran’s red lines” are well known, the senior Iranian official said. “There were no surprises” in the positions Iran presented here, he indicated. Negotiators from the US and the European Union said they expected another round of political director meetings between Iran and the P5+1 to be held in June in Vienna, but would announce the dates later, as they determine if they need an additional meeting, as they aim to conclude an accord by July 20, when a six month interim deal expires. The past three rounds of final deal talks held in Vienna this year have focused on agenda setting, and on putting all the issues on the table that need to be addressed in a final accord. This was the first meeting where we “now talked about ways to bridge those gaps,” a different, far more difficult process, the senior US official said. Lead US negotiator Under Secretary of State Wendy Sherman also joined in at the end of the last meeting Friday between Iranian Foreign Minister Mohammad Javad Zarif and European Union foreign policy chief Catherine Ashton. Asked by Al-Monitor if the US and Iran have had held additional bilateral meetings outside of the ones announced on the sidelines of Vienna, the US official did not answer yes or no directly. “I don’t have additional details for you,’ the official said. “This was the ‘sticker shock’ meeting,” a former senior U.S. official, speaking not for attribution, told Al-Monitor Friday. Vienna__ Iran and six world powers are holding a second day of meetings here as they aim to progress to drafting the text of a final nuclear accord by the end of July, amid continued wide gaps in key positions. Negotiators were tight-lipped, but by Thursday evening, when diplomats from six world powers broke for a joint dinner, it was not clear if the actual drafting of the text accord had begun, though one diplomatic source suggested that it had. Diplomats suggested that the process was on track and as expected at this fourth round of comprehensive deal talks. “Talks are good but difficult,” Iran Deputy Foreign Minister Abbas Araghchi said when he briefly emerged from the negotiating chambers at Vienna’s Palais Coburg hotel late Thursday evening for a dinner with the Iranian delegation. The talks are likely to wrap up Friday and are unlikely to continue on Saturday, he said. The parties are negotiating “in good faith,” but “it’s difficult and slow,” Araghchi subsequently said. European Union foreign policy chief Catherine Ashton and Iran Foreign Minister Mohammad Javad Zarif held a “useful” three and a half hour meeting Thursday morning, followed by talks between their deputies and parallel expert level talks, and another Zarif Ashton meeting in the evening, Ashton’s spokesman Michael Mann said. An Iranian source familiar with the Iranian negotiating team’s thinking, who spoke to Al-Monitor not for attribution Wednesday, identified three main challenges that needed to be addressed to bridge negotiating positions, from the Iranian perspective. “Here is the gist: our practical need is not just Arak,” the Iranian source said, referring to the centrifuge capacity to produce enough low enriched uranium to fuel the Arak reactor, under proposed modifications to the unfinished reactor that would reduce its proliferation risk. “What could serve as the basis for the timeline of this is past experiences with other countries that had concerns with their nuclear programs,” the Iranian source said. “Libya—the worst example: a crazy dictator…a rogue state with no accountability….—[its nuclear case] was resolved in five years,” the Iranian source said. Japan’s case, he said, was resolved “in less than 10 years.” These past cases should be considered “to create a basis, use a precedent, a logical argument” for the duration of the agreement, he said.